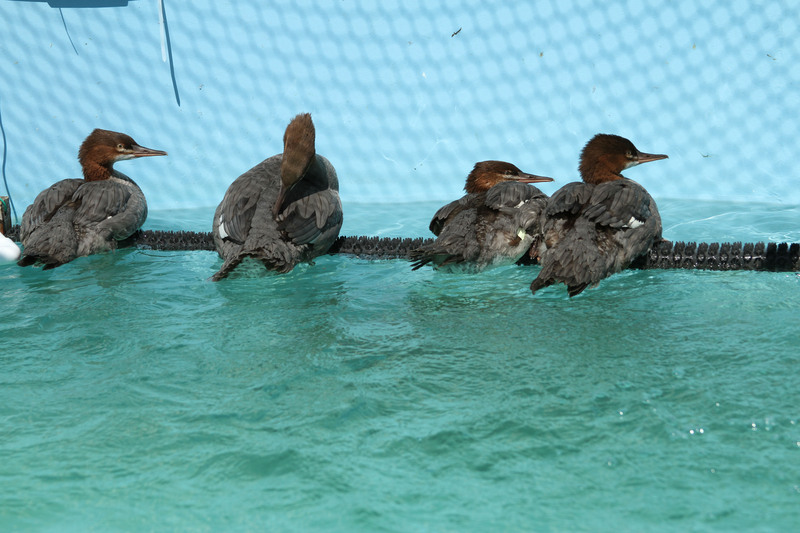 This past week we released more than 150 clean birds after successful rehabilitation at the ongoing Gulf Oil Spill bird rescue. 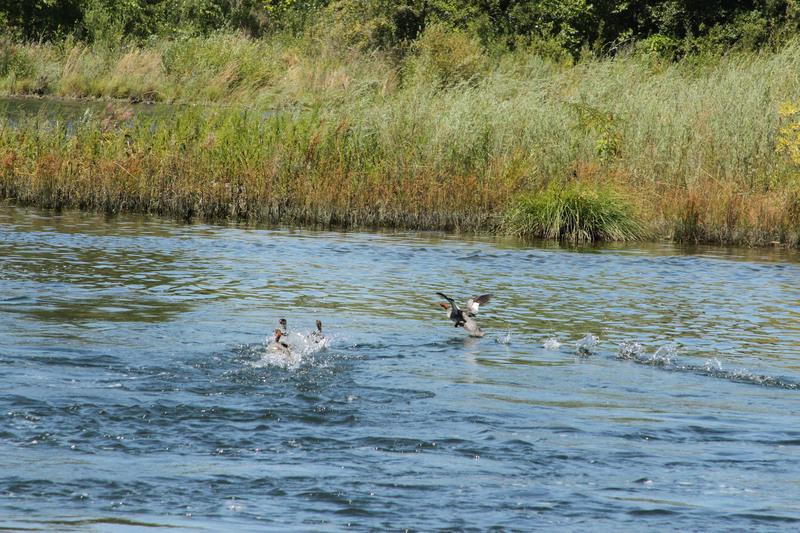 They were returned to the wild on Rabbit Island, another clean bird nesting island in western Louisiana. We’ve had a fair amount of storm activity in the last few weeks and have had to schedule bird releases around heavy wind and rain. That’s unfortunate for us but will not impact the birds who can wait a few extra days before they return to the wild. 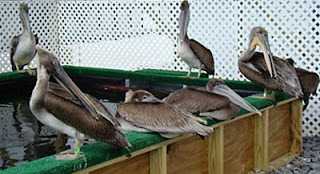 We have made the best use of that time by providing live fish for them to eat so the young pelicans can continue to play and develop hunting skills as they plunge feed and chase live minnows in their pools. Why are we still getting oiled birds? While the number of oiled birds has slowed down tremendously, and especially in the last month, we are still receiving fledgling pelicans, gulls and terns. 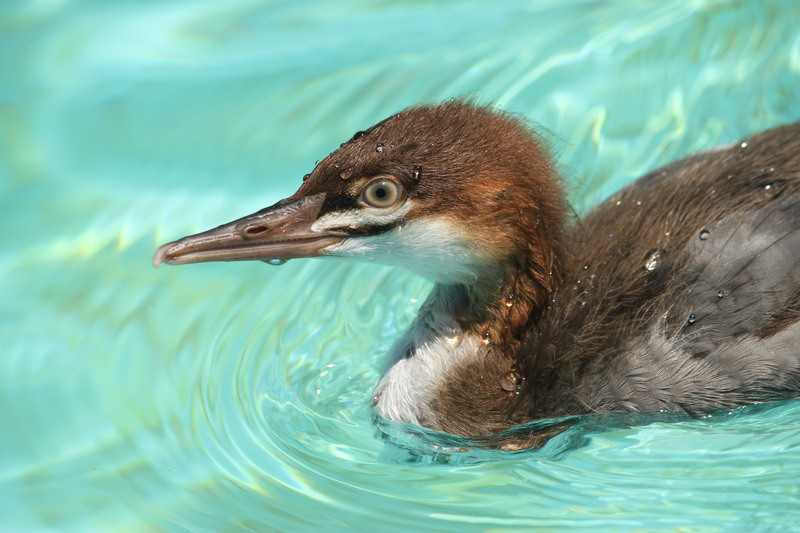 These fledgling birds became oiled while they were playing and bathing in the puddles in the inland areas or on the shorelines of small islands. In July a strong storm surge pushed oil onto some of the nesting islands in the Grande Isle area. These islands are primarily made up of sand, gravel and shell and the highest elevations are typically no more than 4 feet high. Some islands have low growing mangrove forests and many of the islands are covered with tall grasses. The storm surges pushed oil through the grasses and mangroves and much of it settled in shallow inlets and pools that are located throughout the inner areas of the islands. 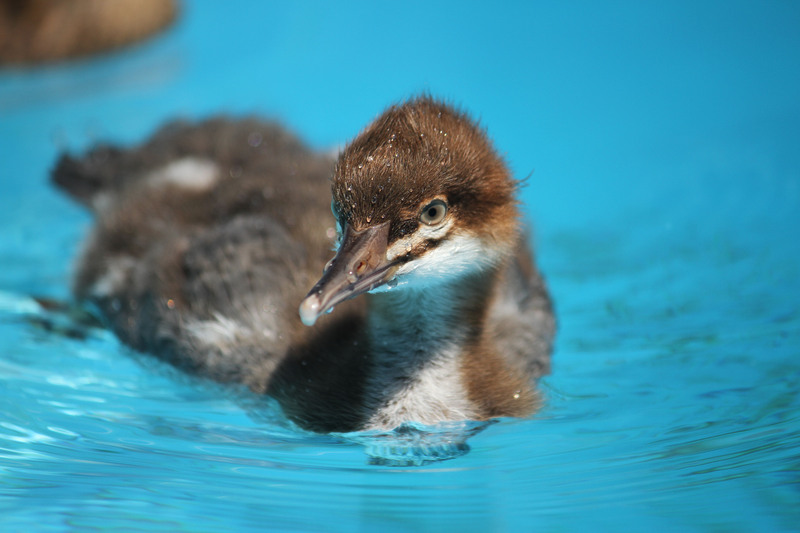 Some of these young birds have been oiled for a while and the only reason they survived was because the warm weather and hot sand allowed them to stay warm. As they begin to fledge and hang out on the edges of their islands they are easier to capture without frightening the other birds. Since early July we have received around 500 oiled fledglings. We not only have to wash and rehabilitate them, we must take over the role of their parents and help them to learn to eat on their own and become decent hunters and foragers. That is where the live fish and other stimulating foods come in. 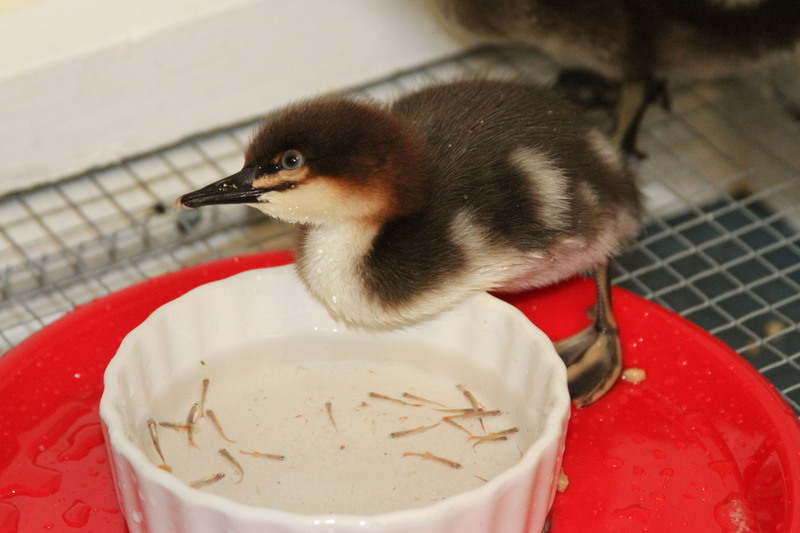 So, in essence we are now operating a nursery and classroom for the feathered orphans of the spill. 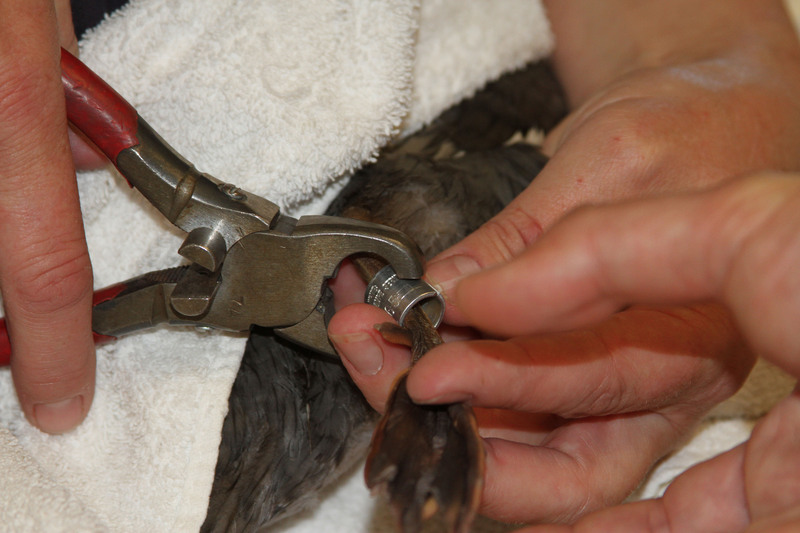 The birds now ready to be released have graduated to a state where we think they have a good chance for survival. They may be delayed for a few days but when they are ready they will be released into colonies of their species so that they can pick up where they left off in the education. Also you can follow IBRRC’s ongoing rescue efforts on Facebook and Twitter. We continue to remain hopeful and part of that comes from your encouragement and continuing support. 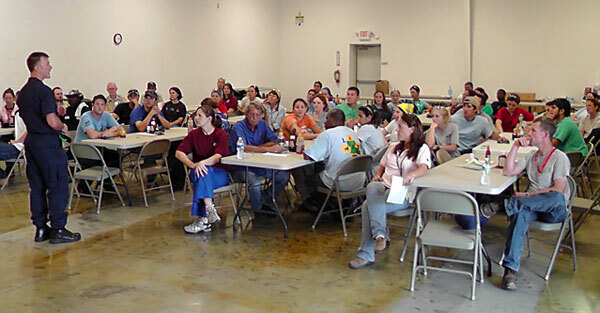 It has been a tremendously rewarding week for us oiled bird carers at the Hammond, Louisiana bird care facility. 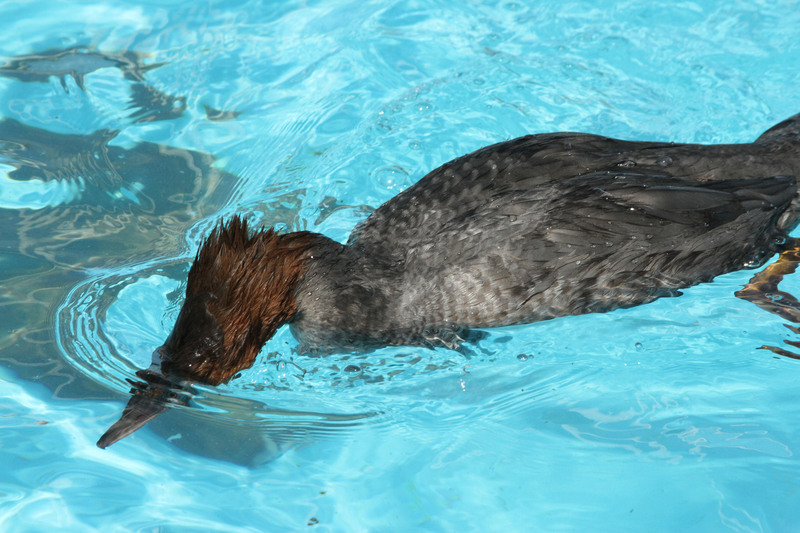 In the last seven days we have released 197 clean, healthy birds back to the wild. At 2:00 AM this morning, 62 healthy birds were loaded into carriers and transported to the Atchafalaya State Wildlife Refuge for release. 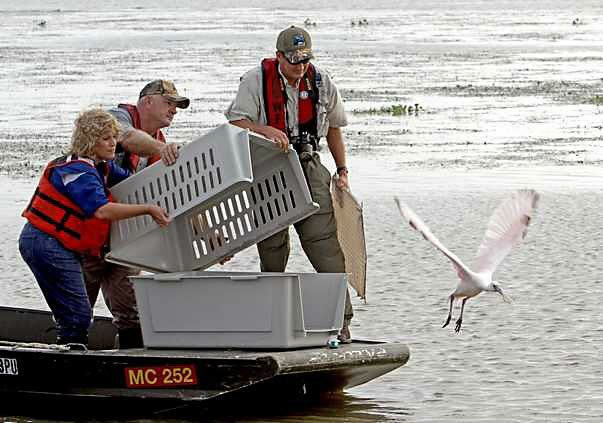 See photo, above, of Roseate Spoonbill being released. U.S. 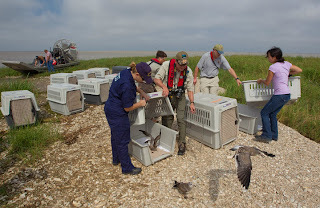 Fish and Wildlife Service and the Louisiana Department of Wildlife and Fisheries personnel released the rehabilitated birds — including Roseate Spoonbills, Skimmers, Gulls, and Terns. 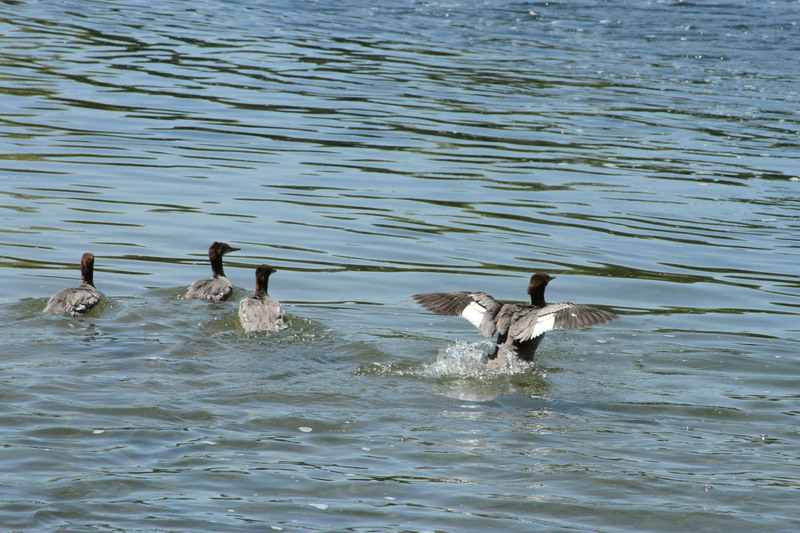 This was the fourth bird release within the State of Louisiana. 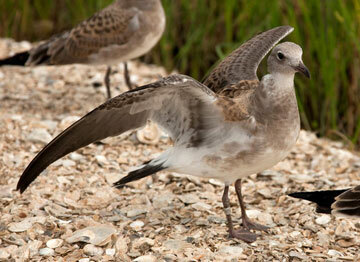 To date, more than 800 birds have been released throughout the Gulf Coast since the BP oil spill began in April 2010. To top off the busy day, we were honored with a visit to the Hammond center from Rear Admiral Paul Zukunft, the Federal On-Scene Coordinator for the oil spill response. Toward the end of the day we were preparing for possible bad weather that is approaching. There’s a storm off the Gulf Coast that has a 70% chance of developing into a tropical storm. Meanwhile, our youngest baby pelican is doing really well. In picture he’s playing with a stick. 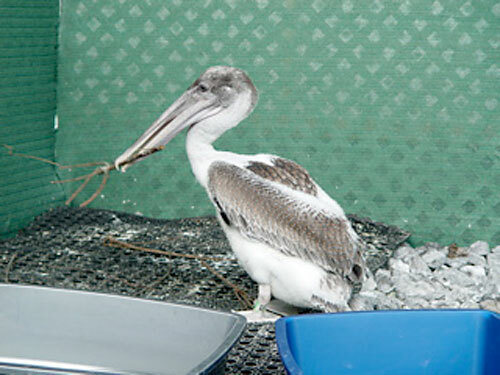 Playing with sticks and grass and mimicking nest building keeps the baby pelicans busy throughout the day. 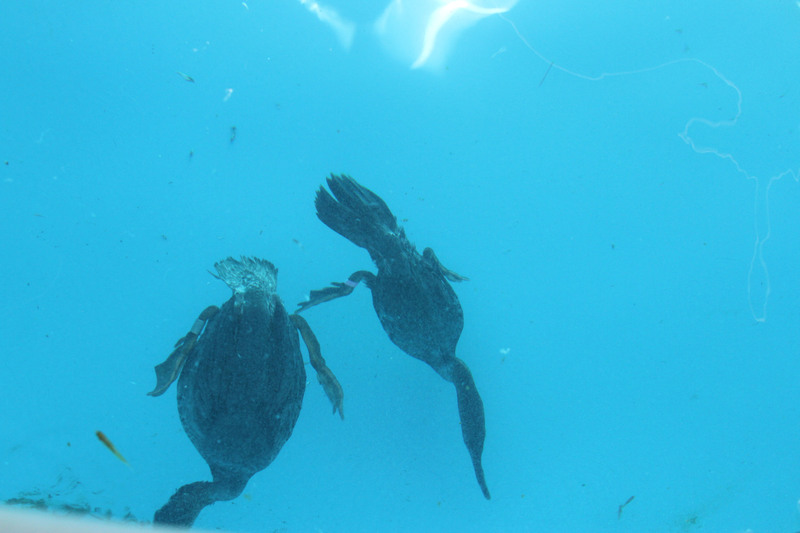 Soon this youngster will have another pelican about the same age to interact with. 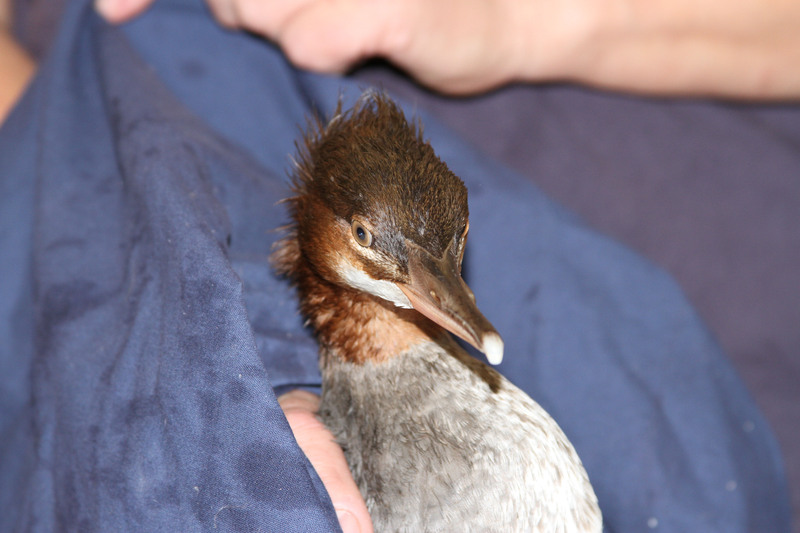 It’s one of about 150 or so oiled birds that have been admitted for care in the last week. Right now this bird shares his pen with some older juvenile pelicans. 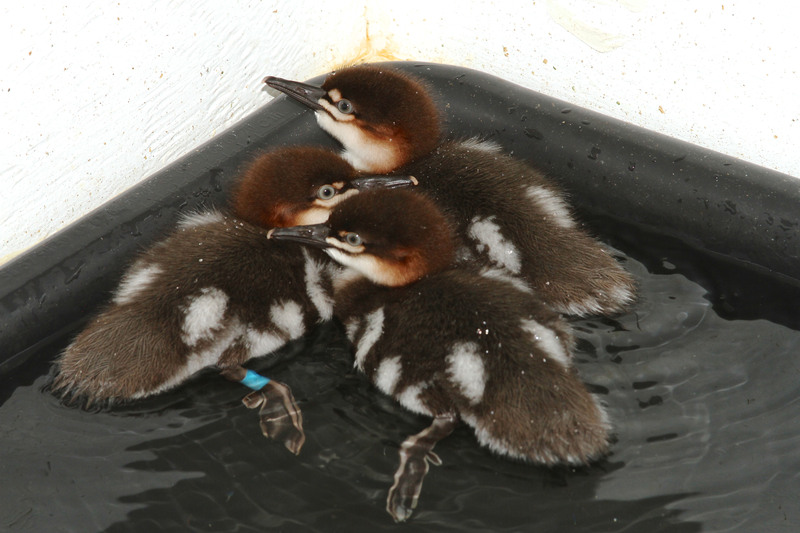 As we enter into the fourth month of the Deepwater Horizon oil spill response, we wanted to bring you up to date on our continuing oiled bird rehabilitation efforts in the Gulf of Mexico. 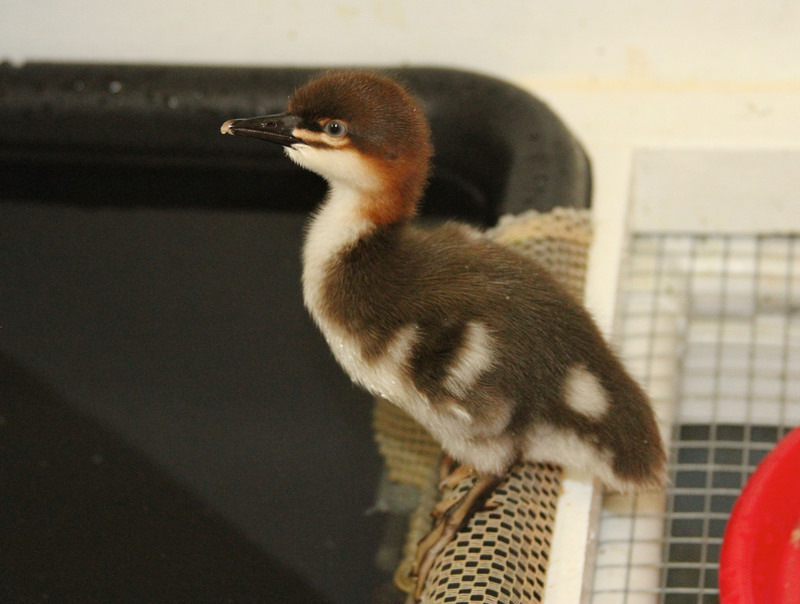 The BP well has been capped but we are still receiving hundreds of oiled birds each week. These are primarily the orphans of the spill: Laughing Gulls, Brown Pelicans, Terns, Herons and Skimmers who are attempting to fledge from their protective islands. In doing so they are becoming oiled as residual pools of oil and oiled grasses still exist on some of the islands. 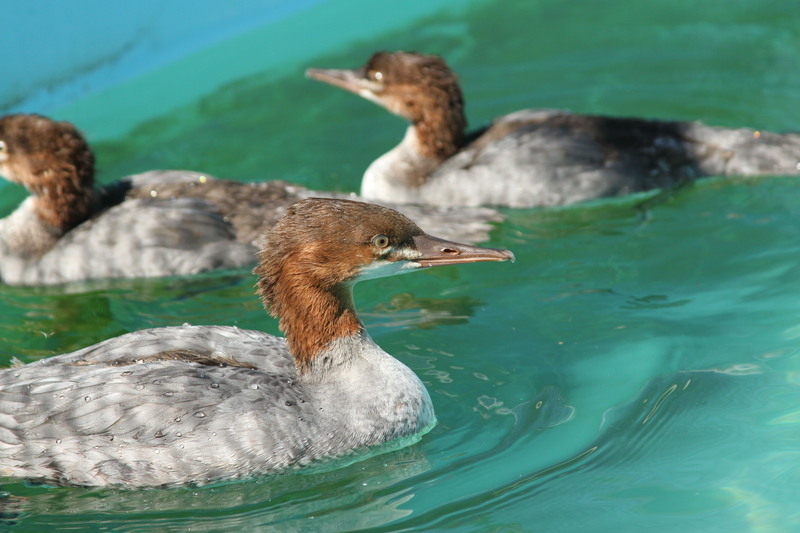 On July 23rd we successfully moved 400+ bird patients from the Fort Jackson rescue center in Buras, Louisiana to Hammond, which is 80 miles further north. Primarily, this move was to ensure the safety of people and animals in the event of a tropical storm or hurricane. 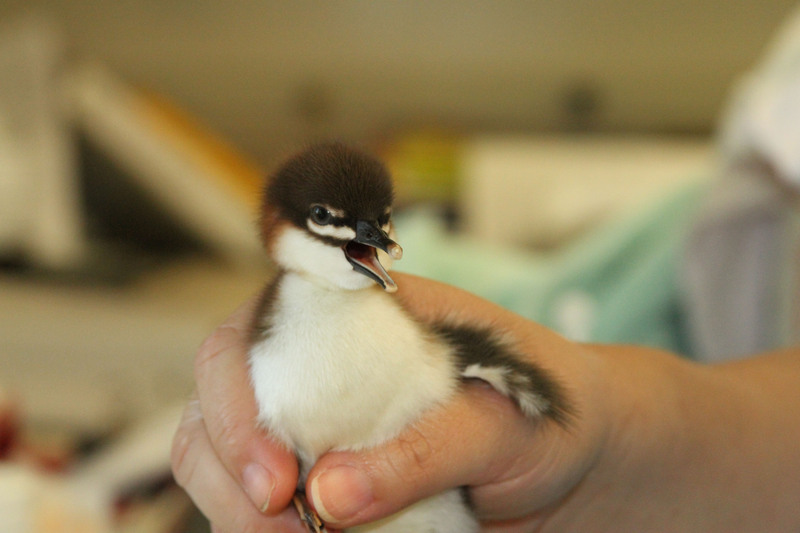 We currently have over 500 birds at the Hammond center. 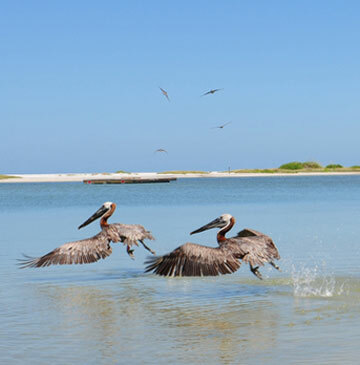 To-date, 657 birds — mainly Brown Pelicans, Laughing Gulls and small shorebirds — have been successfully rehabilitated and released back to the wild in Texas, SW Louisiana, Florida and Georgia. 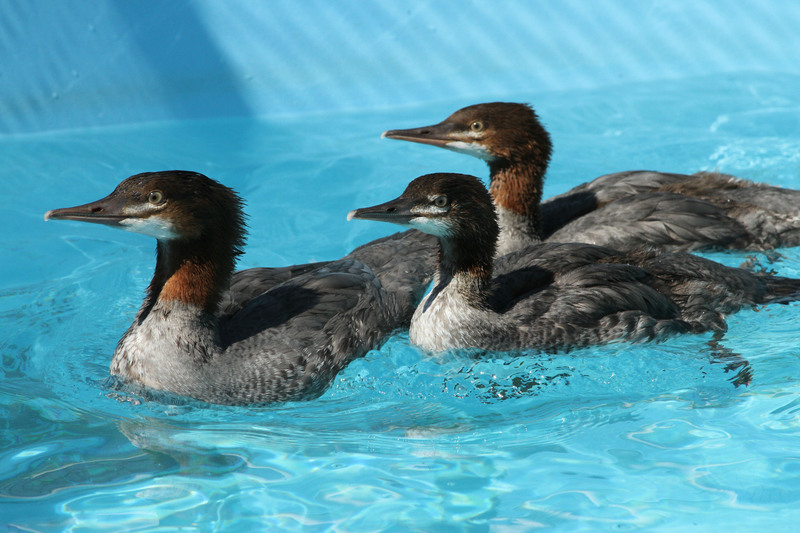 IBRRC has had 75 responders help in the gulf spill and we still have 40 response team members in four Gulf states working alongside our colleagues from Tri-State Bird Rescue to give the best possible care to these oiled birds. Many of us have been here since early May and we will be here to assist for many more months to come. 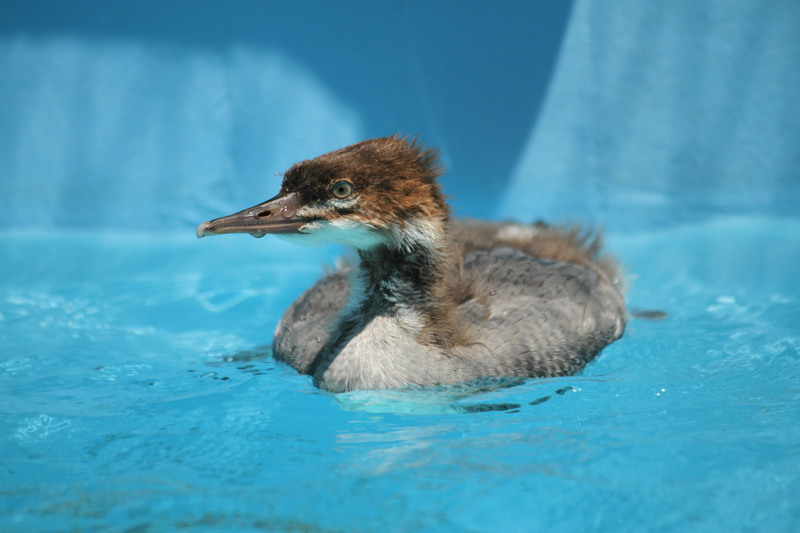 An amazing amount of people, including many children from around the country, have been moved to respond to the ongoing aquatic bird rescue efforts in the Gulf. Please know that we appreciate all your words of encouragement and your continuing support.